Michelle McSpadden ~ Fine Art : Heading West....soon! 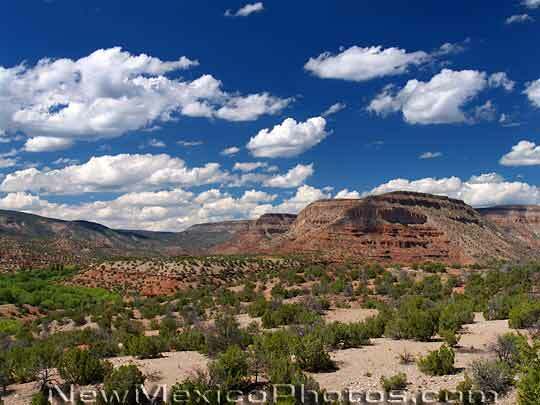 Next Friday, I will be going on a much anticipated trip to New Mexico!! YAY!! 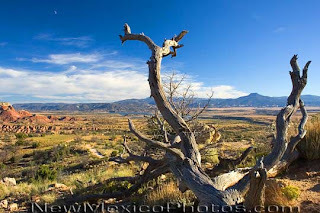 My aunt and I are planning to spend a couple of days in Taos and then 5 days in the Santa Fe area. I can hardly wait….it’s been 7 years since I’ve been out there, so I’m past due on the fabulous scenery and art of the Southwest. My goal for this trip is to: take a lot of pics for photo references, visit new areas for visual inspiration for the desertscape series, make some new business contacts, and get a little spiritually refreshed. The downside to vacations is that prior to leaving and after returning, things are so hectic. I’ve been working 10+ hour days at work just trying to get my head above water, so I’m hoping that my desk won’t look like Hiroshima when I get back. All of this extra work at my day job for the past few weeks has really gotten me tired and I certainly don’t feel like painting much. PLUS, I'm producing a small art show tomorrow night at It's A Grind that I've been working on for a while too. But back to my day job.... Have you ever been so busy that you don’t know where to begin? That’s how it is for me right now. Several of us are extremely overwhelmed and it’s not good. Just last week I had to leave for brief time out in order to de-stress and refocus. When I got in my car, I just drove…and drove….a few tears slipped down my face and I quietly whispered a prayer: “Jesus, I can’t do this for too much longer…I can’t handle it and it’s not what I want to be doing with my life. When can I leave? When will that door open that I need to go through? Is there anything I need to do” And of course, you know He answered quickly…He’s been dealing with me about some areas that I need to come into obedience about….the main one being submission to authority. Thankfully, He’ll help me through and teach me what I need to know. A great book that I’m reading now, Under Cover, is helping a lot, but I have a ways to go. But I don’t want to get into all that right now during my lunch break….or else I’ll give myself heartburn. On the bright side, the good part is that I have a job, and for that, I’m very thankful.